Sumire Kudo | The Chamber Music Society of Lincoln Center. Cellist Sumire Kudo is a chamber musician, soloist, and a member of the New York Philharmonic. Previously she taught at Indiana University–South Bend and was the cellist of the Avalon String Quartet. Her honors include the Hideo Saito Memorial Fund Award, which she received from the Sony Music Foundation after being chosen by Seiji Ozawa and Tsuyoshi Tsutsumi as the most promising cellist in 2005, and prizes at the Sapporo Junior Cello Competition and 62nd Japan Music Competition. She has participated in the Nagano-Aspen Music, Aspen Music, Santa Fe, SummerFest La Jolla, Miyazaki Music, Music@Menlo, and Marlboro Music festivals. She has appeared in solo performances with the Toho Gakuen Orchestra, the New Japan Philharmonic, Tokyo City Philharmonic, Yomiuri Nippon Symphony Orchestra, Japan Philharmonic, and Tokyo Metropolitan Symphony Orchestra. Japan’s leading classical music magazine gave its Best Recording Award to her second solo CD, Love of Beauty on the Philips label. 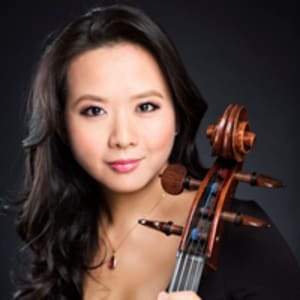 Born in Tokyo, Japan, Ms. Kudo began cello studies at age four with her father, cellist Akiyoshi Kudo, and went on to study with Yoritoyo Inoue, Hakuro Mori, Harvey Shapiro, and the Juilliard Quartet. She came to the United States in 2000, after establishing herself in her native country through solo performances and recordings. She is a graduate of Tokyo’s Toho School and The Juilliard School, where she served as assistant to the Juilliard Quartet.